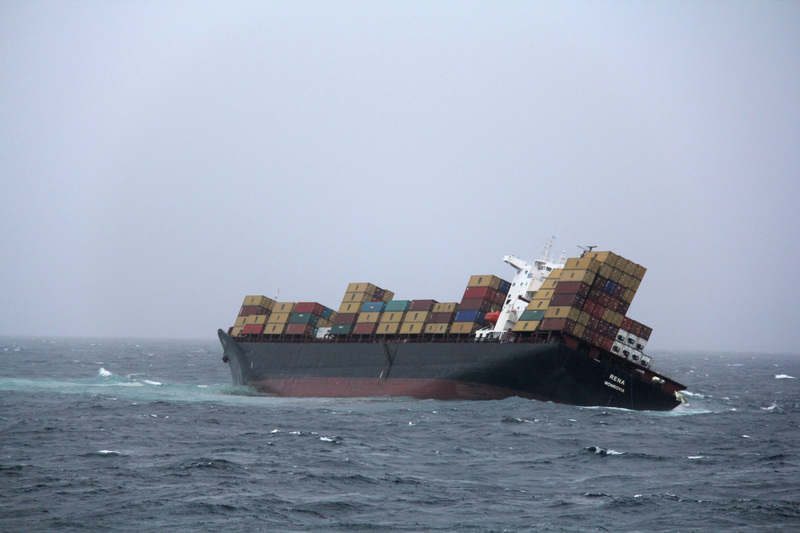 The Rena appears to have suffered structual damage and most likely will break-in-two unless salvors can make immediate repairs. 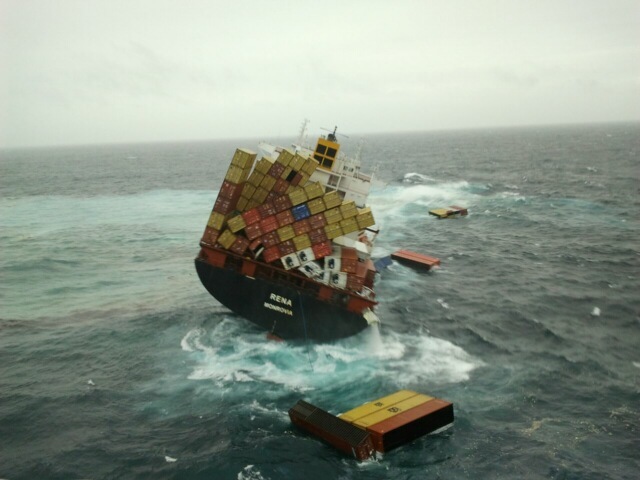 The Rena developed a massive crack along its midsection of the hull after strong winds and 5 meter swells battered against the container ship. 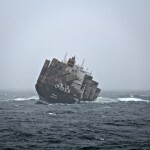 Seventy or more containers have broken free and have now begun to wash ashore. One container has been spotted spewing a trail of toxic blue and smoke. 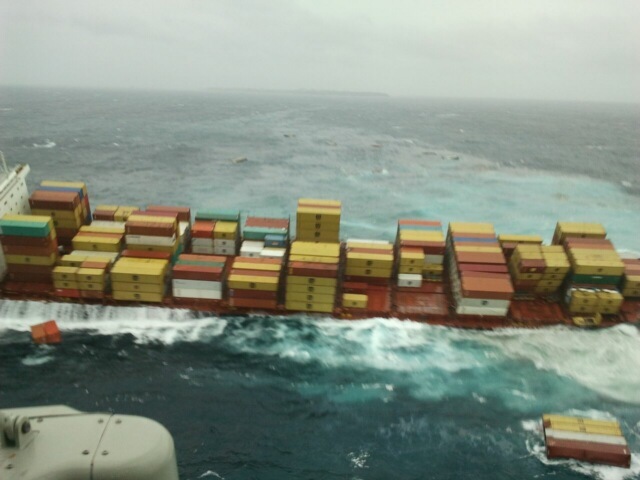 Many more containers on the vessel are damaged making the situation more dangerous for the salvage crew. 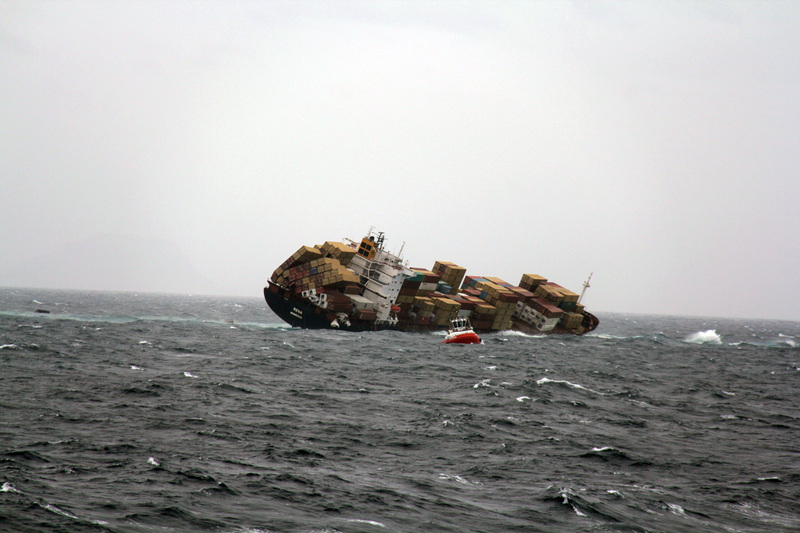 Reports also state that even greater amounts of oil has started to come ashore along the shorelines around Tauranga, Motiti Island and the surrounding area. 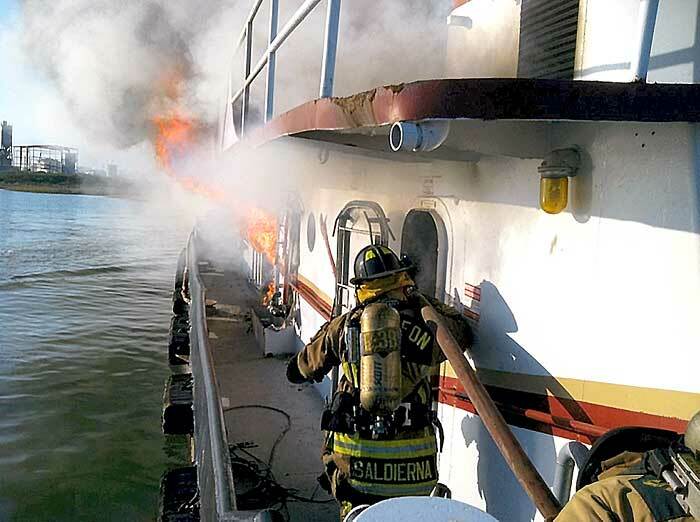 A tug suffered a fire in the engine room while docked at San Leon, Texas. Local firefighters were called to the scene who were able to extinguish the blaze. No one was seriously injured, but two firefighters gear was scorched by flames. 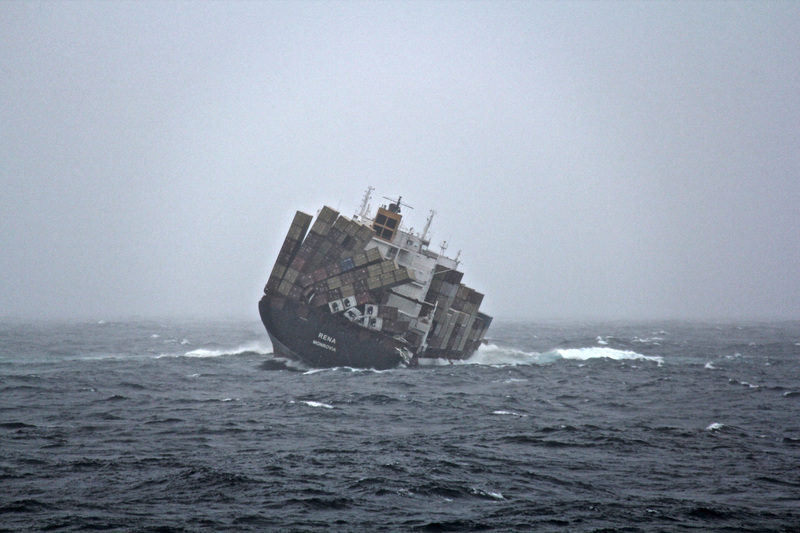 The name of the vessel was not released. 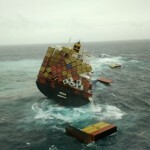 Latest report states 70 containers have fallen off the Rena and have sank, floating in the sea or have drifted ashore. 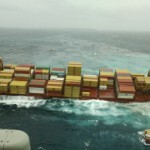 No reports to which specific containers and what cargo was inside has been released. 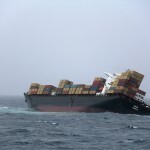 Authorities have issued navigational warnings and expect more containers to break free as the Rena continues to list heavily to starboard. 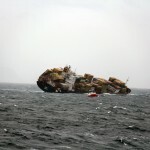 The Master of the vessel Rena has been arrested and charged by Maritime New Zealand (MNZ) under section 65 of the Maritime Transport Act (MTA) 1994, “for operating a vessel in a manner causing unnecessary danger or risk”. He will appear in the Tauranga District Court this morning (Wednesday 12 October). One s65 MTA charge has been laid, but it is likely more charges may follow. The s65 charge carries a maximum penalty of $10,000, or a maximum term of imprisonment of 12 months.